U.S. 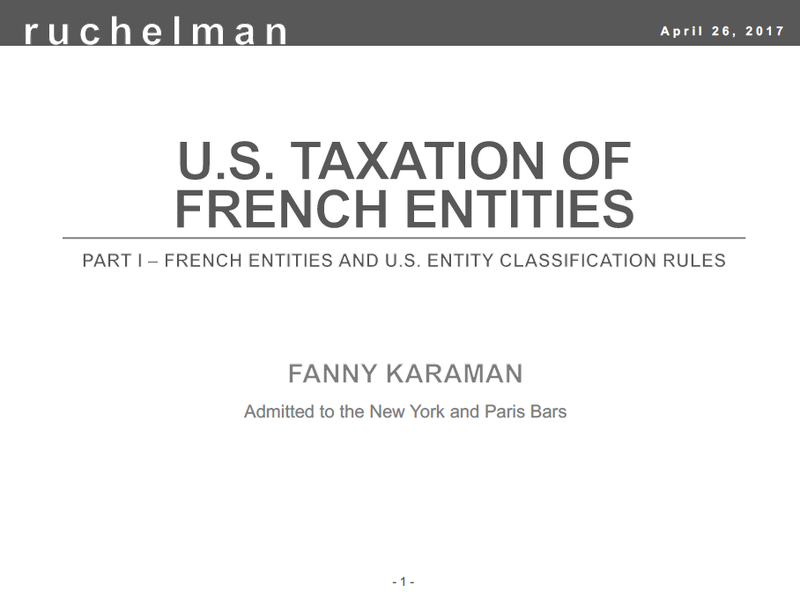 Taxation of French Entities: Part I – French Entities & U.S. Entity Classification Rules — Ruchelman P.L.L.C.